your expression on the ice! To improve your basic skills, technique and your expression on the ice! International figure skating camp organized by Carine Herrygers. This year again at Geleen, The Netherlands (at our new location). Carine will be assisted by a professional team. The camp is open to skaters of all levels! To improve your basic skills and technique on the ice! Carine is and has been Jorik’s coach for almost 16 years and started coaching his sister Loena more than 12 years ago. Jorik’s results, 9th at European Championships in 2012, 2014 and 2016 17th at the 2014 World championship and in 2016 he finished 16th. At the most recent European championships Jorik finished 4th . Next to all these great reults, Jorik also placed 16th at the Olympic Winter Games in Sochi in 2014, and 14th at the Peyongchang games. Loena’s results are very impressive as well, 7th on her first European performance in 2017 and 5th in the most recent edition. She placed 15th on her first World championship in 2017 and performed her first Olympics recently in Pyeongchang and finished. Carine is organizing these very successful summer camps for more than a decade. She has been the head coach of this program since the beginning. Sharing her knowledge with many international skaters, she still believes everybody can always improve as a skater but also as a coach, and now she’s ready to share her knowledge and experience with you. Improve your appearance on the ice under supervision of a Olympic level coach! Jorik, known for his exceptional skating skills and interpretation of the Music is a perfectionist with a razor sharp eye for detail and technical elements. Firmly believing that only hard work and 100% dedication will make you achieve your goals, he's passionated to inspire and pass on his knowledge to other skaters. To improve your skating skills and your expression on the ice! His career as a professional dancer as well as a choreographer goes way back. Since 2011 he is house choreographer for the Royal Conservatorium of Brussels for all public-productions. 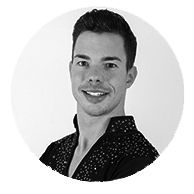 For years Adam has been and still is the figure skating choreographer for the Belgian Figure Skating Federation. 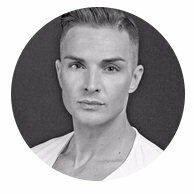 He’s the main choreographer for Jorik and Loena Hendrickx. Adam is well known for his way of using the modern dance - upper body in the figure skating choreographies. His acting experience allows him to add a dramatic aspect to the interpretation of music and skating style. Adam is of course multi lingual and speaks Hungarian, English and Dutch. For skaters who master all double jumps (full rotation) and are working on double axel and triple jumps. We offer 3 ice sessions. Prices: 1 week: € 385,-, 2 weeks: € 720,-. For skaters who master single axel and at least 2 double jumps (full rotation). Prices: 1 week: € 345,-, 2 weeks: € 650,-. For skaters who are working on all single jumps (included Axel). We offer 2 ice sessions. Prices: 1 week: € 265,-, 2 weeks: € 500,-. We offer 1 ice session. Prices: 1 week: € 75,-, 2 weeks: € 135,-. Please mention this when registering. Apply before May 1st and receive a € 10,- discount for a one week camp or even € 50,- discount for 2 weeks camp. Your place on this training camp is definite at the point that you receive our confirmation letter. Payment of at least € 50,- is due within 14 days after application. The balance can be paid at the start of the training camp. The advance payment can be paid into the following bank account with as reference, the name of the participant and the group that they wish to join.